The Introduction of Points Based System from UK Immigration | Go For Visa | Australia Immigration Consultant & Visa Experts in India. The immigration system is one of the well organized departments in any country in the world and the procedures and policies are also consistently from one country to another based on their own set of constitution. UK is one of the countries in the world which is well known for their well organized immigration system in order to control the immigration activities in the country. The immigration officials in UK comes up with new five tier point based system in order to evaluate the immigration applications from the users from any part of the world. 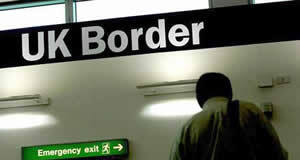 According to the immigration visa experts, it is certainly a biggest change in the UK immigration system over the years. This new point based system completely changes the way of approving the immigrant Visa and immigration applications for the work, study and stay in UK. This point based system actually categorizes all kind of immigration applicants and their scenario into five main tiers that can represent each one completely. Firstly, Tier-1 is meant for highly skilled worker visa qualified and intelligent immigrants from all over the world such as entrepreneurs, investors and scientists. This tier will help the well experienced and skilled worker visa to people to enter into the country pretty much easily. The Tier-2 is a classification for the immigrants who have their job offers in the country from recognized organizations in local. This tier is specifically created in order to fill the job vacancies in the country by means of global talents which ultimately improves the economy and growth. The Tier-3 is for the workers who are highly demand for the companies inside the UK. This helps the companies as well as the states to improve the labor force in order to improve the production rate. The students and education aspirants who wants to study in UK are comes under the category of Tier-4. The Tier-5 is left out with the youngster and temporary job seekers who want to work in United Kingdom. These categories have their own point based eligibility criteria in order to qualify for the particular tier in offering Immigrant Visa. For example, if you want to get into Tier-1 then you have to work hard to satisfy the qualifications to prove it. This makes it everything simpler for the immigration authorities as well as immigrants.